Welcome to Homer, Alaska, on Kachemak Bay. 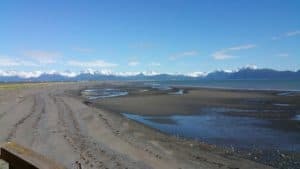 Made famous as “The End of the Road” in Tom Bodett’s tales, Homer is at the end of the Sterling Highway, 200 miles south of Anchorage, surrounded by wilderness and ocean. 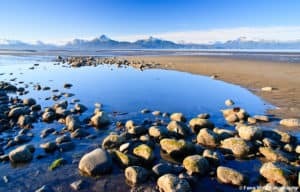 A home base for great fishing (“The Halibut Fishing Capital of the World”), kayaking, bear viewing, hiking, foodie and art vacations, Homer is quickly becoming known as the Eco and Adventure tourism capital of Alaska. The Homer Spit (“spit” is a geological land form) features the longest road into ocean waters in the world, and was named one of the best 100 beaches in the United States for its incredible views and variety of wildlife along the 4.5 mile multi-use trail that runs from its base to its tip – the true end of the road on Alaska’s Highway 1. A common time to visit is May–Aug, when temperatures are mild to cool, and daylight extends late into the evening. Hiking and boating are popular summer activities. Homer is known as a fishing hub, especially for halibut. While some fishing trips run year-round, others operate Apr–Sep. Skiing, ice fishing and ice-skating are popular during the cold winter months (Nov–Mar). The Kachemak Bay Shorebird Festival (May) marks the annual migration with bird-watching hikes and boat excursions. With glacier-studded mountains and crystal-clear water surrounding you, the tiny businesses and miles of beaches that make up the Spit also make for one of Homer’s most beautiful features. Take long walks, take photos, check out the boats returning with their huge catches, or cast a line for salmon yourself at The Fishin’ Hole-located near the boat harbor-which is stocked with kings and silvers. Test out your sea legs with a fishing charters for halibut and salmon, head out on a guided sea kayaking trip, or hop a ferry across the bay to the quaint boardwalk-lined town of Halibut Cove. The Spit also offers some of the best eagle viewing in the state – up to several hundred during certain times of the year! Extreme low tides (say a minus-15 foot) expose interesting sub-sea flora and fauna on beaches and harbor piers. 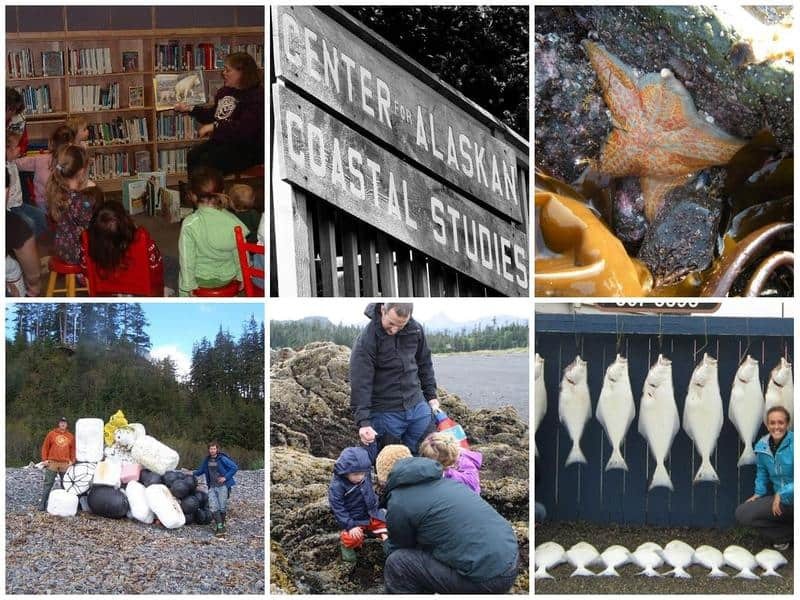 The Center for Alaskan Coastal Studies offers hands on Naturalist-Led experiences providing a personal connection to one of the most ecologically diverse and productive places in the world. Activities for all ages and abilities! 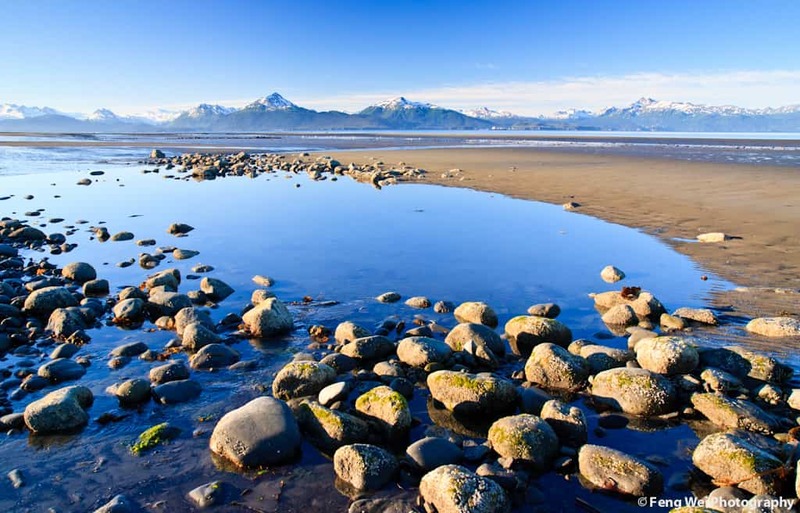 Spend a day on a naturalist-Led full-day tour to the Peterson Bay Field Station located across Kachemak Bay from Homer. Tour groups are small and personal. Explore tide pools, coastal forest trails, birds, touch tanks & more. Kayaking and overnight stays in cozy yurts also available. 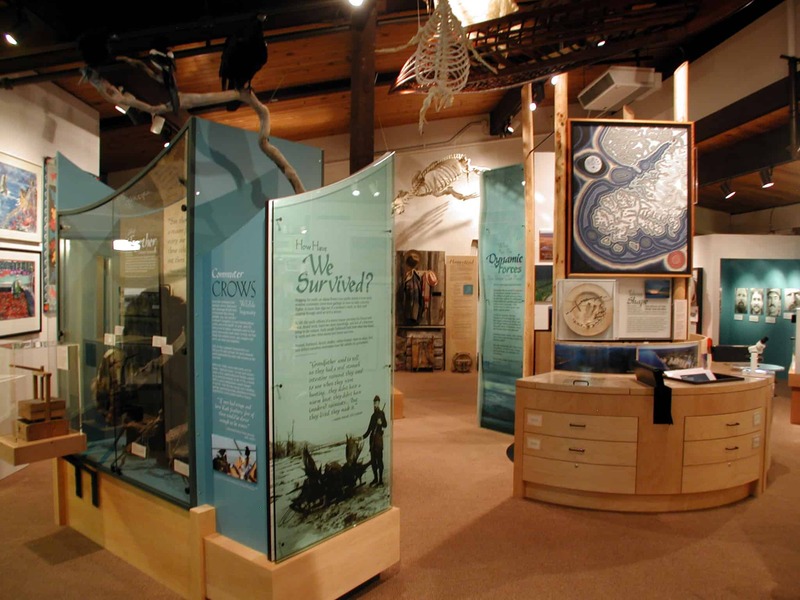 A state-of-the-art center focused on marine life. 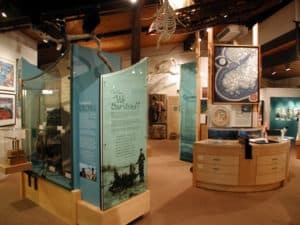 Discover the wonders of marine life through interactive exhibits and enjoy naturalist-led walks to Bishop’s Beach on Kachemak Bay. Their friendly staff will offer tips on wildlife viewing, wildlife refuge information and points of interest. Join them for one of their naturalist-led walks or activities (June through August), or take a self-guided tour of the Visitor Center, featuring sculpted re-creations of wildlife and settings, and interactive stations, simulating a journey through the nation’s most far-reaching wildlife refuge. Two blocks from Old Town at the end of Bunnell Street you will find Bishops Beach. A picnic shelter with grills, restroom facilities, Beluga Slough trailhead, and beach combing are just the beginning of the fun to be had at Bishops Beach. 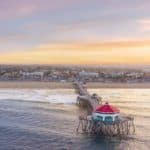 Easy walking distance to shops, restaurants, and art galleries in Old Town, and to the Islands and Ocean Visitor center via the Beluga Slough Trail, as well as the miles of beach. Daily tours using a six passenger helicopter for transportation to remote, brown bear rich area’s on the Alaska Peninsula. Departing Homer, Alaska. Their Ultimate Safari takes your dreams of seeing bears from ordinary to extraordinary. For more information call 907-696-2327, or visit them on the web at Alaska Ultimate Safaris. Bears Are Their Passion! At Alaska Bear Adventures with K-BAY AIR, they focus all their considerable knowledge and experience EXCLUSIVELY on Your Alaska Bear Adventure. Others offer Bear Viewing as a sideline…. As a family operated business, they “live” Bear Viewing 24 hours a day from mid-May to early September. For more information call +1 877-522-9247, or visit them on the web at Alaska Bear Adventures. Manns Charter Service is owned and operated by Mike and Nancy Manns. 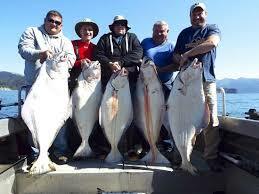 Mike offers a variety of charter options and targets Halibut, Rockfish and Salmon. He is passionate about fishing and showing folks the beauty of Alaska. His motto is ” if we can’t have fun, the boat won’t leave the harbor”. Seeing whales, sea lion, otters, eagles etc. is common so take your camera! For more information call 907-260-5860, or visit them on the web at Manns Charter Service. Off the beaten path, A Seaside Adventure kayak tour is a truly enriching, memorable experience that goes far beyond a day of paddling. 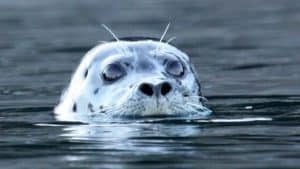 Our guided kayak tour gets you up close to marine wildlife and birds, and lets you explore the diverse intertidal zone We show you sites and artifacts of ancient Alaskan cultures, and serve you a delectable lunch with fresh local seafood and wild herbs. For more information call 907-235-6672, or visit them on the web at A Seaside Adventure. Get ready to have an awesome experience and an overall great day. Not only will you have a blast catching your limit fishing, but the opportunities to see different marine wildlife, birds, mammals, and whales are nearly endless. They try to point out everything that they spot to give you ample photo opportunities. It’s also a fun and exciting way to spend quality time with family and friends. For more information call 907-299-5911, or visit them on the web at Alaska Saltwater Adventures. Located in the heart of Old Town and known locally as the “Historic Waterfront”. They believe in amazing food, fun specialty drinks, and great entertainment! They value their guests and believe in goodwill and hospitality. For more information call (907) 235-9949, or visit them on the web at AJs Old Town Steakhouse & Tavern. They use Local ingredients and strive to make as much as they can fresh, in house and from scratch. They bring a certain passion to your table, supporting a chain of local producers and businesses who bring that same passion to their farm, brewery, coffee roasting, distillery, and fishing boats. For more information call 907-399-9900, or visit them on the web at The Little Mermaid. Welcome to Captain Pattie’s! They hope you’ll take a look around and discover “The best seafood restaurant in Alaska!” proclaimed by Alaskans and tourists alike. They have an extensive menu filled with fresh local caught seafood. For those that fear the sea, they also have delicious steak and chicken entrees as well. For more information call 907-235-5135, or visit them on the web at Captain Pattie’s Fish House. They serve delicious food using only the freshest ingredients sourced locally whenever possible. 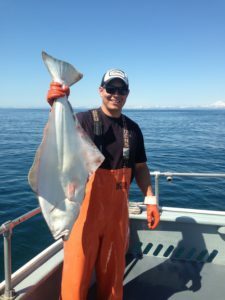 Their Alaska halibut fish & chips is the best around at an affordable price along with other local, delicious seafood such as salmon, shrimp and calamari. Smoke master Ralph smokes the brisket, pulled pork and ribs in the smoking shed. For more information call 907-226-2003, or visit them on the web at Lighthouse Seafood Grill & Smokehouse. Everyday they make fresh salsas, grill their marinated chicken and steak and offer a homemade soup and daily specials. Their beans, rice, sauces and most soups are vegetarian. They use peanut and canola oil. The paper plates and napkins used at Cosmic Kitchen® are made from sugar cane and are compostible. They recycle their plastic, papers, bottles and cans. For more information call 907-235-6355, or visit them on the web at Cosmic Kitchen. The Salty Dawg Saloon is a well-known landmark on the Homer Spit in Homer, Alaska. The bar is known for the thousands of dollar bills signed by visitors and tacked to the walls. This practice started many years ago, when a visitor tacked a dollar on the wall, explaining that his friend would be by later. The dollar was intended for buying the friend a drink. For more information call 907-235-6718, or visit them on the web at The Salty Dawg Saloon. Best bar with an atmosphere of fun. The bartenders are great and it is very easy to make new friends. They have entertainment most nights, bands, D.J.’s, craft nights and quiz nights. Head to Kharacters and meet a few. For more information call 907-235-1455, or visit them on the web at Kharacters Alaskan Bar. They’re a great place for casual food with friends or family between 4-9pm and when it gets dark great for various entertainment every night of the week! For more information call 907-235-9199, or visit them on the web at Alibi Bar & Cafe. This boutique Inn gives the visitor an intimate, oceanfront experience. Rooms are individually designed with hand crafted expressions, welcoming touches, and all the modern conveniences. 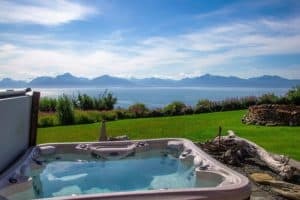 Situated on the bluff above gorgeous Kachemak Bay, they’re conveniently located to all the things you’ll want to do… the art, the food, and the adventure that is Homer, Alaska. For more information, pricing, or to reserve your room visit Homer Inn & Spa. 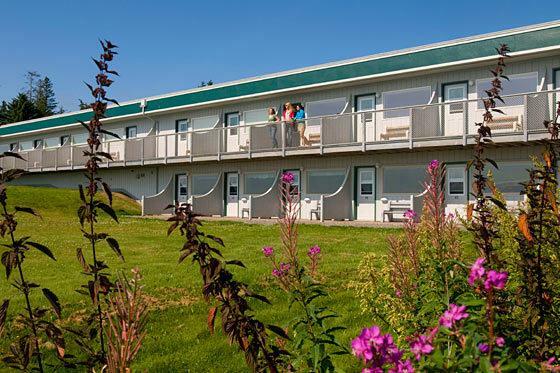 The Ocean Shores Hotel in Homer, Alaska is located on four acres of ocean front property with panoramic views of mountains, glaciers, Kachemak Bay, St. Augustine Volcano and miles of uninterrupted beaches. From your spacious modern beachfront room you can enjoy the magnificent views of the mountains and ocean through a large picture window or from your room balcony. For more information, pricing, or to reserve your room, visit Ocean Shores Hotel. 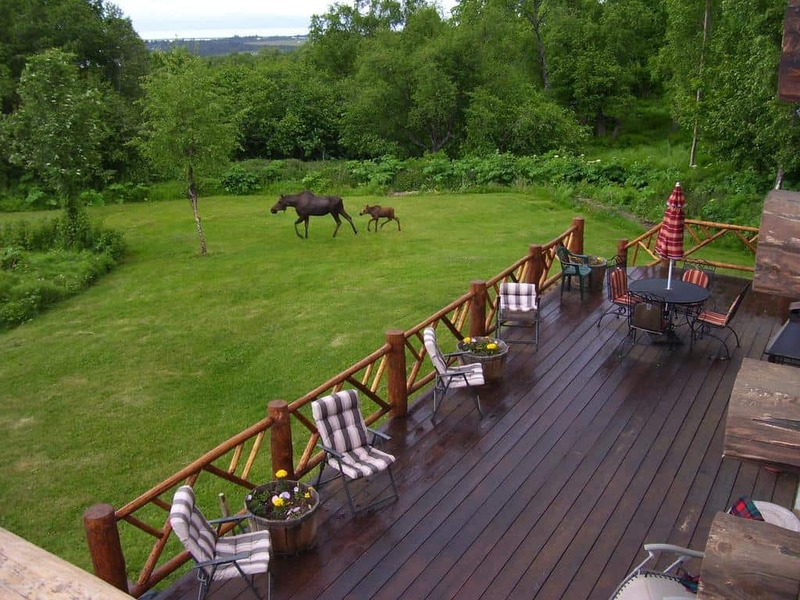 Baycrest Lodge offers rustic, yet classy, lodging in Homer, Alaska. This property sits 550 feet above sea level with incredible, unobstructed, views of Kachemak Bay and the Kenai Mountains. All units have private hot tubs, porches with seating and gas BBQ grills, gas fireplaces, LED flat screen TV’s, full kitchens, custom blackout curtains, local spruce furniture and decorative steel detail made by owners, in-floor radiant heat and leather furniture. For more information, pricing, or to reserve your room, visit Baycrest Lodge. 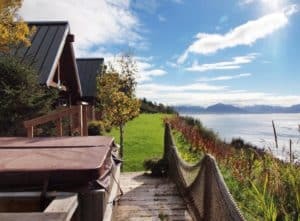 Located on Bluff Point in Homer, Alaska, with unobstructed views of Kachemak Bay and Cook Inlet, this resort offers a delightfully modern cabin experience. 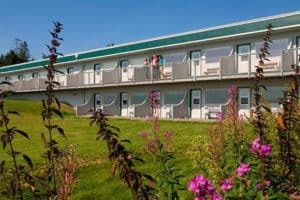 All cabins have a fireplace and offer a rustic feel with modern features, like free Wi-Fi, kitchenettes, flat-screen TVs, and covered porches with views of the bay, beach, glaciers, and volcanoes. Relax after exploring the area in the hot tub, take your pet for a walk on nearby trails with fantastic views of the bay, or chill on the lawn in front of your cabin and watch the wildlife. For more information, pricing, or to reserve your room, visit Alaskan Suites. Boasting scenic views of Kachemak Bay, this rustic and authentic log lodge is located in Homer, Alaska. Decorated with historic Alaskan artifacts, Juneberry Lodge provides a daily continental or full English breakfast. Featuring free WiFi access, each guest room here includes handmade log beds with custom quilts. The private bathrooms include a shower and free toiletries. A shared lounge and library, a spacious terrace with outdoor furniture, and an expansive garden with frequently visiting wildlife can all be found at Juneberry Lodge. Barbecue facilities are also available. For more information, pricing, or to reserve your room, visit Juneberry Lodge. You’ve done such an amazing job with all of the content. It’s laid out beautifully and you’ve left nothing out. Keep up the amazing work. Thank you Holly 🙂 Alaska is very unique and different from the rest of the U.S. Definitely a place everyone should vacation to. Thanks for stopping by beach travel destinations. Hi Leahrae. I like the sound of Manns charter tours: “If we can’t have fun the boat won’t leave the harbor.” Great motto. The fish sizes shown in your photos look pretty impressive, so this would be a must-do activity. I am surprised to learn that the bear tours search for brown bears. I imagined that there may be a few polar bears around Homer, but I guess it is not cold enough for them. The views from the hotel adds look great. Thanks for an informative article once again. You are welcome Andrew and I am glad you enjoyed reading and learning about Homer Alaska. And you are correct, no polar bears in Homer. Those views are amazing. As I read more about Alaska, the more I want to do a trip to all the towns you write about. Homer seems so quaint, beautiful, and fun. Alaskan Suites seems like the place to stay. I want to rent one of those cabins with the water view. Thanks for letting me know about all the places, keep the articles coming! I am traveling again to Japan this December and planning my next vacation next year. 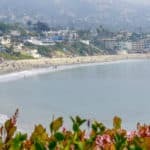 This is a big help as I am saving more money now to travel more. As they said, traveling is investing in experiences and I’ve been living to that. 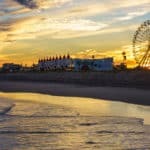 Great Article, I hope you make more articles like this. Thanks Jason, and I hope you can vacation to Alaska soon! It is definitely different than your more recent travels. Thanks for stopping by Homer Alaska Travel. Thanks, Leahrae, such good vacation destination that you always have. 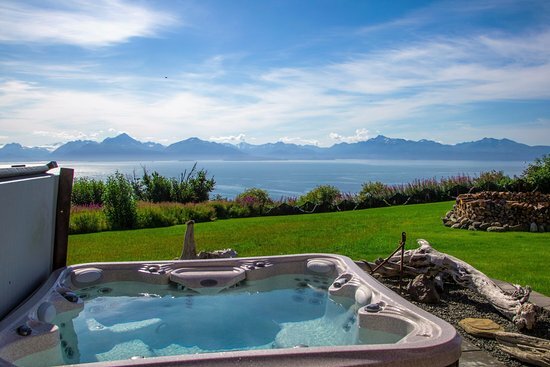 I think Homer Alaska would be an amazing vacation spot and one that I would love to try myself someday. If it ever works out for me and my family to vacation on a far trip this is my dream one. The tour that I would love to try out here is the six-passenger helicopter trip to the Alaska Peninsula. Thanks for the information. You are welcome Fred. Thanks for visiting Homer Alaska Travel and I hope you can make it to Alaska one day! The seaside adventure sounds like a lot of fun! I love the ocean and would love to get to know the animals in the area. And there is a lot of wildlife for sure! Thanks for visiting Homer Alaska Travel! As I was reading through this post, I was thinking about how when growing up and learning about Alaska, the picture that was commonly painted was that of a cold, white desert. When the Cruise Lines started heading up that way on a regular basis, I figured that their focus was to give people a close up view of whales and icebergs. 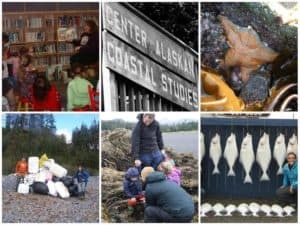 You do a great job of highlighting that Alaska is much more than a cold white desert featuring whales and their calves and calving icebergs. An enticing invitation has been extended… Keep up the good work. Thanks Mitch! I hope you can make it to this beautiful state one day soon. Thanks for visiting Homer Alaska Travel. Your beautiful site is very quickly bumping Alaska up my bucket list. 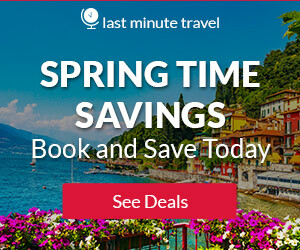 I have been planning a trip, and so glad I found your site. Great information! Great Adrian, you will love Alaska. Thanks for visiting Homer Alaska Travel. If you need any additional information, please let me know. I would absolutely love to go on a safari. I homeschooled my son and we took Oceanography. We studied various animals. We would love to see the sea-lions, birds, fish, and (maybe) bears. Thank you for this post. We definitely have to get away. I am glad you enjoyed, and yes who doesn’t love to see wildlife up close. You will get to see plenty of it in Homer. Thanks for stopping by Homer Alaska Travel. You are so welcome Kelly. I am glad I pushed in the direction of visiting beautiful Alaska. Thank you for visiting Homer Alaska Travel. Let me know if I can provide any additional information for you. Thanks for posting! This has been super helpful as we are planning on heading to Alaska in June next year. Homer sounds like it has a lot of outdoorsy activities which we love. Is Homer easy to get to by public transport and is it easy enough to get around the place by foot? Or would you suggest getting a rental car? Home is easy to get to Tim, and you can get around easily enough without a rental car for sure. You have to visit the Salty Dog for sure, and that you will need to take a taxi to which will be fairly inexpensive. Please let me know if you need any additional information. Great article! I loved the reading! My husband’s best activity is fishing. In fact, he was once a fisherman and every weekend he goes fishing too. I want to surprise him and buy two tickets to Homer Alaska. I have bookmarked your article so I can plan the trip easily. Could just tell me when is the best time to go fishing in Homer? I wouldn’t want my husband to be disappointed! Hi Daniella, and thanks for visit Homer Alaska Travel. The best time for fishing is from May thru September, which is of course the nicest weather too. Please let me know if you need any additional information. Like your webpage says, Homer is a great fishing destination! Your pics of the large fish are amazing. I bet it is real cold in Homer for the winter. Also, you give a nice selection of hotels, bars and restaurants there. The short summer must be very nice in Homer. The water is so calm! Another great video. Thank you Mick, and yes there are actually some very nice hotels in Homer. A lot of Alaskans like to go there for a weekend trip or a fishing trip. 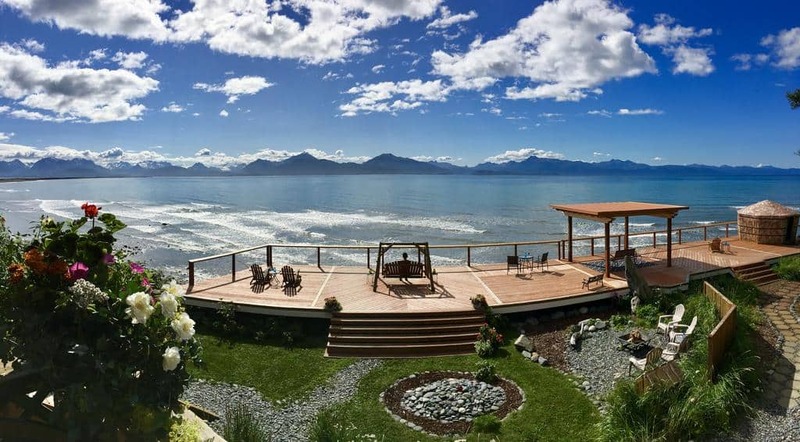 You pretty much have everything, and it does seem a little unexpected for a small town in Alaska 🙂 Thanks for visiting Homer Alaska Travel.